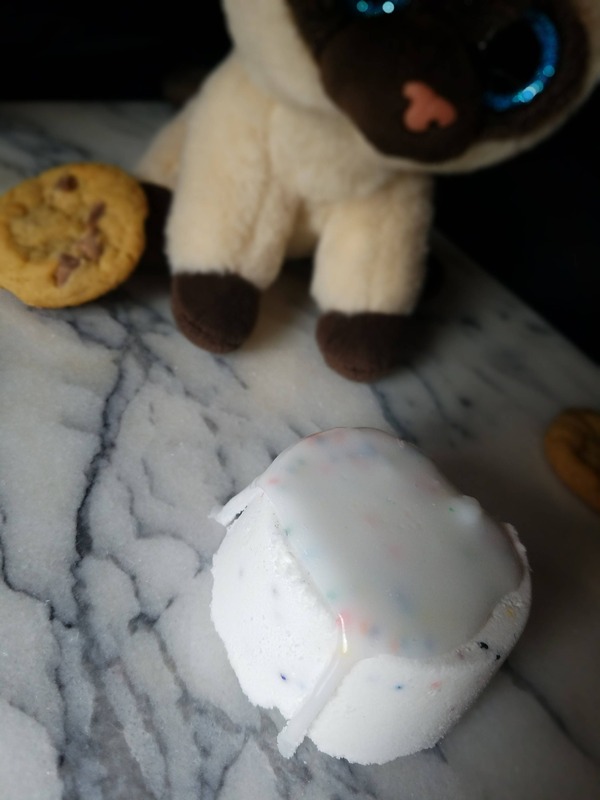 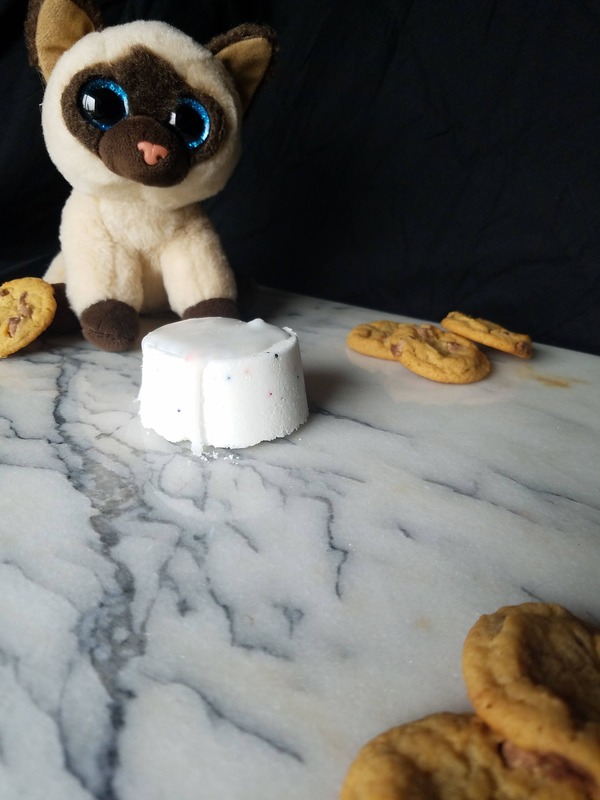 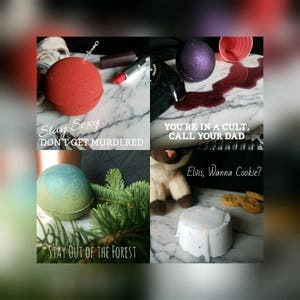 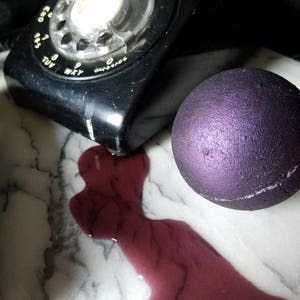 This bath bomb is inspired by the podcast My Favorite Murder, hosted by Georgia Hardstark and Karen Kilgariff, and Georgia's cross-eyed siamese cat Elvis. 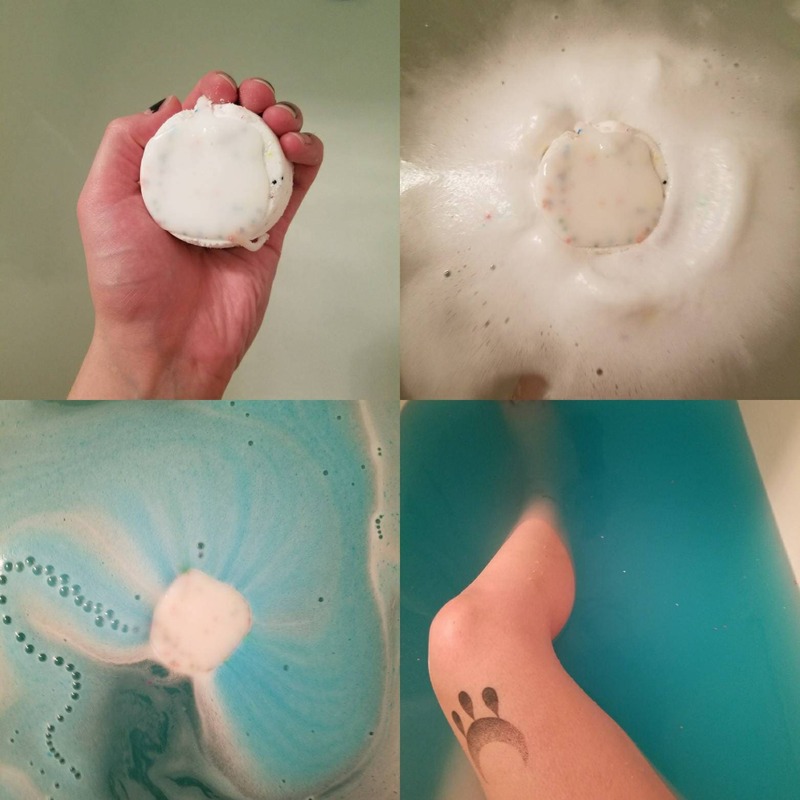 This sugar cookie scented bath bomb is white and features rainbow nonpareil sprinkles, that dissolves revealing an inner core of blue. 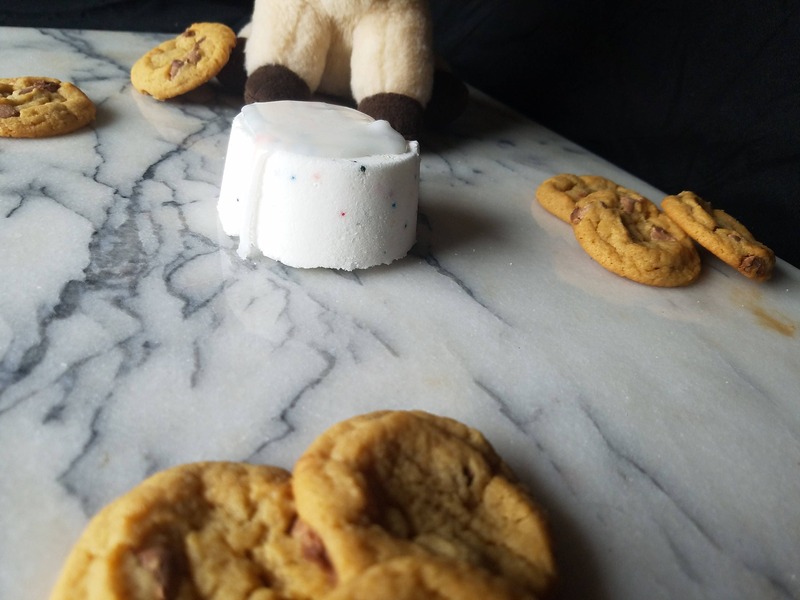 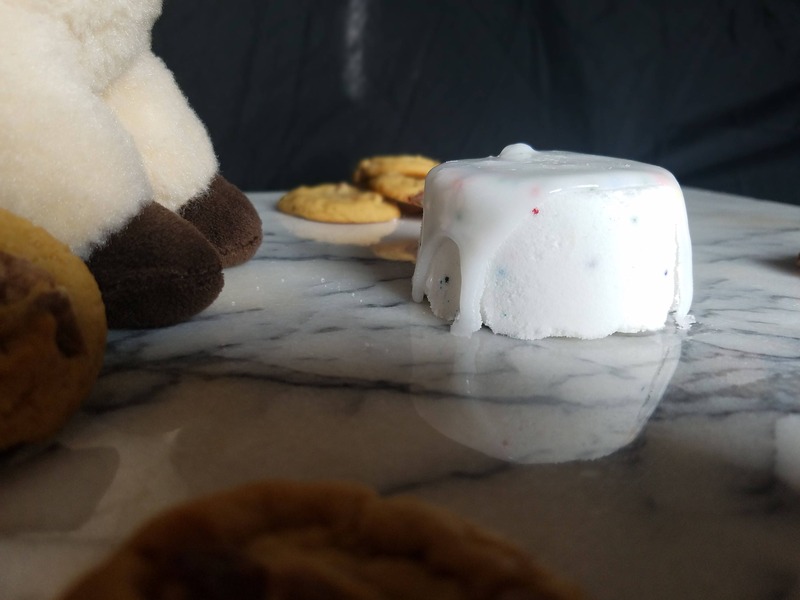 It is also topped with a soap blend of cocoa butter, mango butter, and shea butter to simulate frosting. 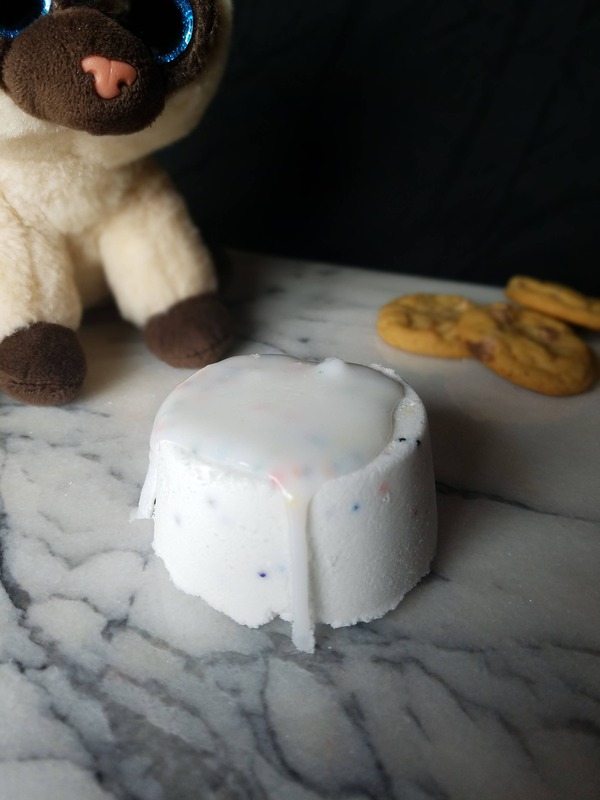 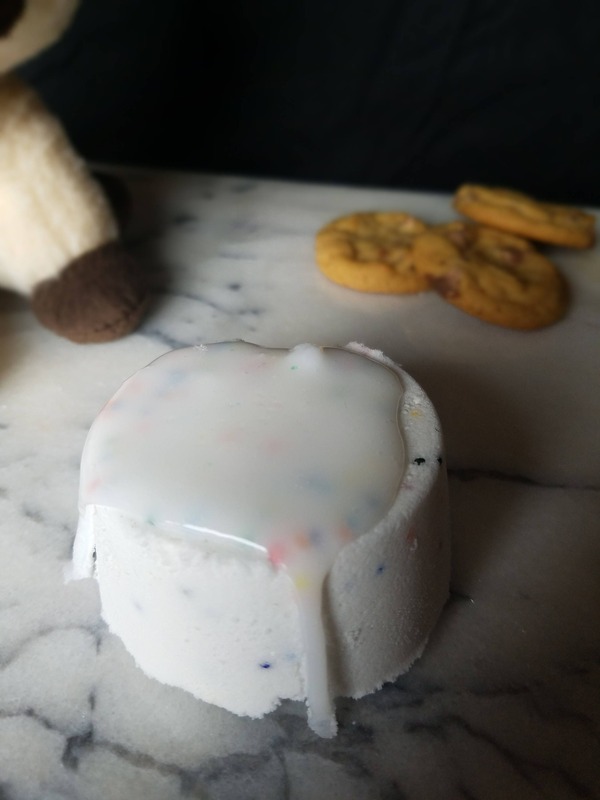 As it dissolves in foamy swirls of white and blue, you'll wish you had a cookie or two of your own! 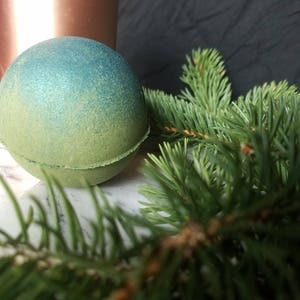 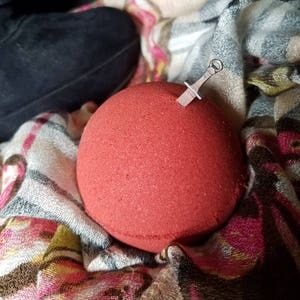 This listing is for one bath bomb that is approximately 2.75" wide by 1.25" tall.